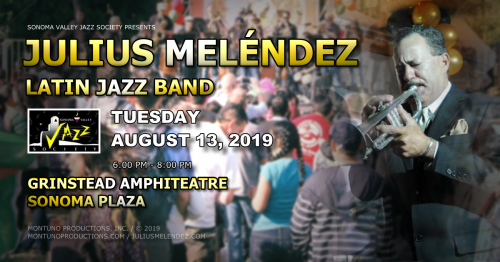 Over the years, Julius Meléndez has been a contributor on 4 albums by Conjunto Cespedes, 2 of which were voted Album of the Year at the NAIRD Indie Awards for Best Latin Recording in 1994 and 1996. Julius has also performed alongside Shelia E., Pete Escovedo, and David Murray. In 1994, Julius -- along with composer, bassist and Los Van Van leader Juan Formell and renowned composer, pianist and lrakere leader Chucho Valdez -- attended a music seminar at the Cuban Popular Musical Festival where Julius was chosen to perform as a soloist. His performance there led to an invitation to perform with Irakere West at the San Francisco Great American Music Hall. A highlight of Meléndez's career has been his work with Rock And Roll Hall of Fame inductee Carlos Santana. During his time with Santana, Julius was featured on the multiple-Grammy Award-winning CD Supernatural, which led to a world tour, along with performing Song of the Year, "Smooth," with Rob Thomas and Carlos Santana, live at the Grammys. Julius was also featured on Santana's Grammy Winning CD Shaman, performing the song "Game of Love" with Michelle Branch. His work on both of those albums led to the first of multiple Grammy awards.